I recently wrote about hard hearts and how dangerous those can be to our spirituality. Today, I thought I’d cover another part of the anatomy…the NECK. These people (the children of Israel) had the most marvelous blessing granted unto them. God, Himself, came down among them. 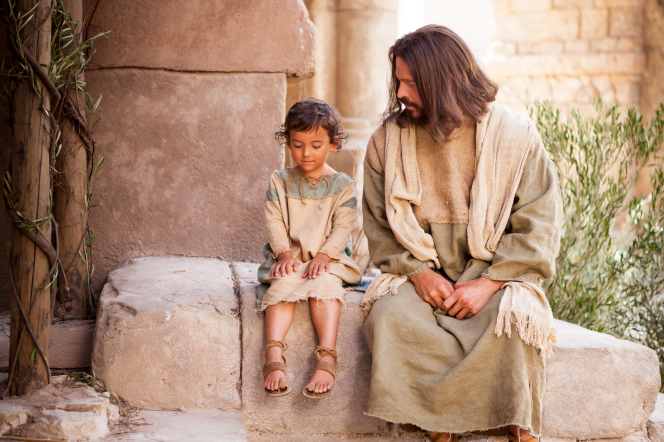 He walked in their midst; He taught them; He performed miracles; he proclaimed His divinity. How great is that! These two parts of the spiritual anatomy destroyed them. Once, my neck became so stiff that it hurt to turn it even in the slightest degree. I could only look straight forward, which made certain things very difficult. Like driving. I couldn’t turn (without pain) to physically check the next lane when I wanted to move over. It was scary. I’m sure most people have experienced this in some degree at one point in their life or another. Hopefully not too much. A stiff neck can occur for many reasons. But in this article, Andrew Bang, DC, of Cleveland Clinic’s Center for Integrative Medicine, says it’s typically the result of muscles weakening over time from poor posture or misuse. Looking down at a computer monitor all day can cause the muscles around the neck joints to tire and become overstretched. Driving for long periods of time or looking at your smart phone can have the same effect. Our spiritual neck muscles can weaken over time too if we have poor spiritual posture or misuse our time and talents, instead of using those gifts to bless the lives of others and build God’s kingdom. We can become a menace to ourselves (like I was a menace on the road) if we allow our spiritual necks to stiffen. When our necks become stiff, we cannot see the truth (because we do not have the freedom to move our muscles fluidly to search for it). We only see what’s in front of us—what the world shoves in front of our faces. That’s when people leave the Church. They refuse to turn their necks and see the truth that is found in the scriptures, living prophets, local church leaders or loving family members who care for their salvation. Having a neck that bends easily and turns flexibly comes only through repentance. That helps us be able to look up to the source of healing (like those who looked up at the brass serpent that Moses held up and were healed; the stiff-necked people died from the serpent bites). Repentance allows the Ultimate Chiropractor to fix us and keep our spine and neck perfectly aligned with eternity. It isn’t a one-time fix. We need regular alignments to keep our neck joints working right so we can turn easily from side to side and not be blinded by what the Adversary throws up in front of us. So let’s get cracking (pun intended)…and turn to Christ for spiritual neck alignments. Don’t let our necks become stiff through neglect and laziness. Don’t let pride creep into our marrow and stiffen our joints and muscles so that we become stubborn and think we know better than our God. There are many examples in the scriptures of what happens to those who have hard hearts and stiff necks…and it’s never anything good. Choose joy.